The effects of chemisorbed sulfate on the spatiotemporal dynamics of Na2S in strongly alkaline solutions were investigated via electrochemical measurements and simultaneous imaging with a charge-coupled device (CCD) camera. 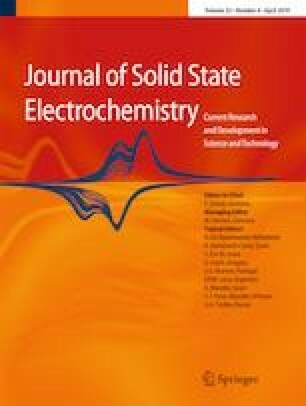 Sulfate adsorption on platinum was found to generate positive feedback, promoting the electrooxidation of sulfide and introducing new hidden N-shaped negative differential resistance (HN-NDR) oscillations at approximately 2.3–2.6 V. In terms of patterns at the electrode/electrolyte interface, sulfate addition inhibited oxygen formation and promoted the emergence of rich patterns in the transpassive potential region due to synchronous sulfur deposition and dissolution, fronts, spirals, and multiarm spirals. A mechanism for HN-NDR oscillations induced by the competitive adsorption of sulfate and hydroxide was proposed, and the effects of sulfate adsorption on Pt oxides in a pure sodium hydroxide solution were elucidated: chemisorbed sulfate ions significantly inhibited the formation of high-valence Pt oxides and delayed the oxygen evolution potential by 0.55 V.
We acknowledge funding from the Fundamental Research Funds for Central University (grant 2017XKZD04) and National Natural Science Foundation of China (No. 51674261).